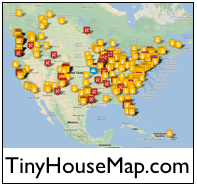 We’re grateful to have the Houston Tiny House Enthusiasts MeetUp group organizer, Barbara Mariner, serving as one of our Small House Society local contacts for the Houston, Texas area. Here’s a description of the group. 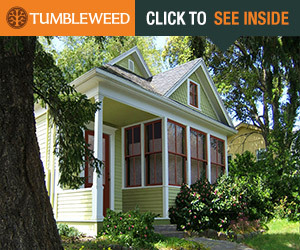 This is a group for anyone interested in designing, building, living in, renting, or maintaining a tiny house and sustainable lifestyle. 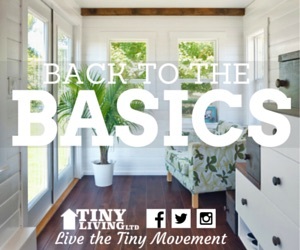 The tiny house movement is a return to houses less than 1,000 square feet, some as small as 80 square feet (7.4 m²). Building types include cottages, cabins, trailers, containers, caravans, house boats, tree houses and many more. The typical tiny house on wheels (THOWs) is usually less than 8 ft by 20 ft, with livable space totaling 120 square feet or less, for ease of towing and to exempt it from the need for a building permit. Dream big, live tiny! Living with less is freeing – both financially and by allowing more time for personal development, community involvement and the ability to react on opportunities when they’re presented. We have a bi-weekly format, alternating between Round Table Meetings and Workshops. We look forward to meeting you, hearing about your ideas and experiences with simple living, and sharing discussions on everything— from environmental focuses and financial concerns, to building, parking, zoning, and more! Thanks for joining us and being a part of this vibrant movement! Does anyone know of any builders in Houston that will build one on a lot not a trailer? Perhaps it could be a little bigger and that would be fine with me. Typically any local builder should be able to help. Rather than a traditional contractor who builds larger homes, you may want to find someone who builds finished garages, studios, or pool houses, since these are the same size project.